I am in the Ultimate Blog Challenge where I write for 30 days straight in my blog. I joined it because it is the right time for my blog and ministry, Rivers of Eden. Join me on this spiritual journey for the month of October. My focus is simple and it came through an ‘aha’ moment where I suddenly thought, after 30 years of ‘doing’ Christianity, it is now my time to ‘be” Christianity. I know, I know, the choice of words is off and a bit cliché, but you get the picture right? Crap, that quote alone scares me for it catapults me into the midst of uncertainty. Do you know what births boring and mundane Christianity? Certainty in anything other than the reality of Jesus Christ. When you are so certain that you become a self-righteous robot who speaks without truly knowing the person of Christ. Christianity is about risk, adventure and relationship in Christ. So I am doing something scary right here, right now – getting out of the boat, walking on the water to Him, and speaking forth with honesty from my imperfect life. I am a follower of Jesus Christ, a disciple of His life and His teachings. I love the Bible, I truly do. That is my BE. Now I will venture away from what I can only describe as my DO of Christianity into the great unknown. How to DO Christianity the wrong way? Assume a perfect position and put that mask of “having it all together” on for all to see, week by week by week. Don’t let anyone see the real you; that you are human and strive for perfection at times and thereby fall into a deep well of self-loathing because you actually dislike how you are, what you look like, or how you were designed. Do busy by immersing yourself in church culture rather than walking in intimacy with the Lord, even if it means going it alone. If you feel this is sarcastic, it is not. For me, it is simple truth. My life as a Christian minister has been stripped down to acknowledging that I am standing in the unemployment line. Is that possible? Well for me it is at this moment. I am standing without opportunity, without ministry outlets, and without a safety net underneath me. It seems all my life I thought I would get to the point of ministry and have this traveling entourage, going to the nations, preaching at conferences, and gaining a strong following. Yikes, that sounds ridiculous, but it is true. Actually today I am born again, again, to use that cliché. I am standing in the unemployment line without a ministry, as I have said, but I am willing to take the bread of life as my substance in place of food stamps. I trust Him in this new place. That previous statement about the bread was so lame but I won’t delete it. It’s me! God pulled it all away for this season, took down any props building up my ego, and then left me standing to build again with hopes and dreams for my future to BE a Christian. So the world is a wide-open field for me and I intend to discover it anew through the eyes of Jesus. I step out to BE in Him. What has Jesus brought to me? Books, books and more books. I am reading voraciously .I exit my cloistered life of charismatic culture and read and glean and listen and grow. And, that is how I found this quote for the first time in a book My Year with Eleanor by Noelle Hancock. I am devouring it, along with many others, reading about imperfection, failure, success and life. I am also going to use a lot of quotes this next 30 days that are opening my eyes. I pray you journey with me as I journey with Jesus Christ for the next 30 days and let’s see where it goes. My desire – eyes open wider to see with compassion, ears to hear the cries of people’s hearts, and a life that is willing to stop on the journey to experience life at a new level. I want to do something scary each day, led by the Spirit. And, I believe I will. Onward. This entry was posted in Uncategorized and tagged Christ, Christianity, creativity, design, destiny, free, freedom, honesty, Jesus, life, living, prophetic, purpose, spiritual journey, there'sgottobemore, ultimateblogchallenge by riversofeden1. Bookmark the permalink. Thank you, thank you so much for sharing your journey with us. I am from South Africa and can relate 100%. The last 38 years have been eventful and exciting but I am so excited to see all that happens as I walk along side you for the next 30 days. Thanks Phil. I will definitely check it out. I believe he is one of my friends. The only reason that I don’t read more of him is that I see so many words from him that it seems an endless stream of words and more words. That is just an observation, not an indictment at all. I looked through it and loved a lot of it and will read as much as I can. I don’t want to miss if God wants to speak to me from it. Also retirement……in the USA retirement is not seen as having to recreate wealth because with longer life, you can’t possible live on what you have in retirement. Times they are a changing” But but but, I also believe that I will not retire. I am just getting started. We love ya lots. 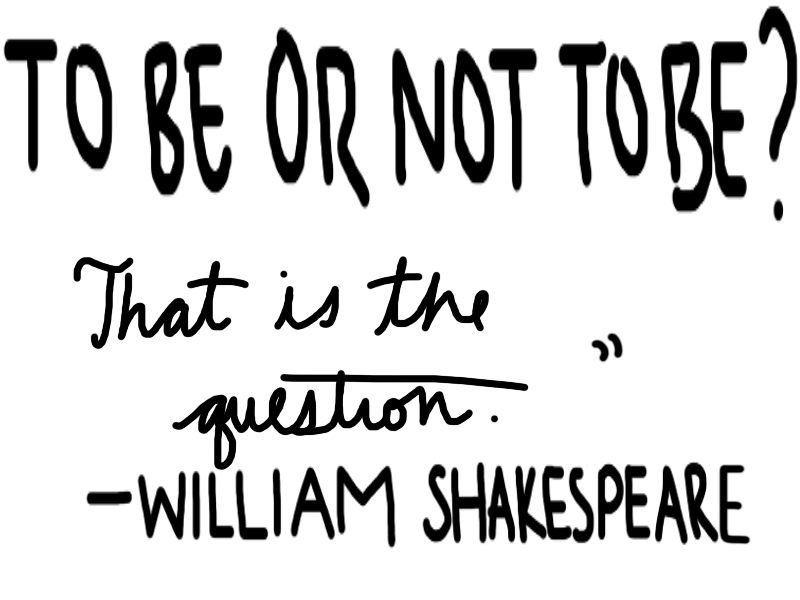 Love your post and to be or not to be quote-I recently wrote a blog post titled “To crunch or not to crunch” haha. I LOVE the Elenore Roosevelt quote-thanks for the reminder. Best of luck to you in your journey this month. I tried the UBC last time I believe it was July and my …c\omputer went by by. Good luck with your 30 opps…October has 31 day.